Beautiful TARRAGONA w/5 KW SOLAR w/HEATED POOL & SPA backs to Open Space. 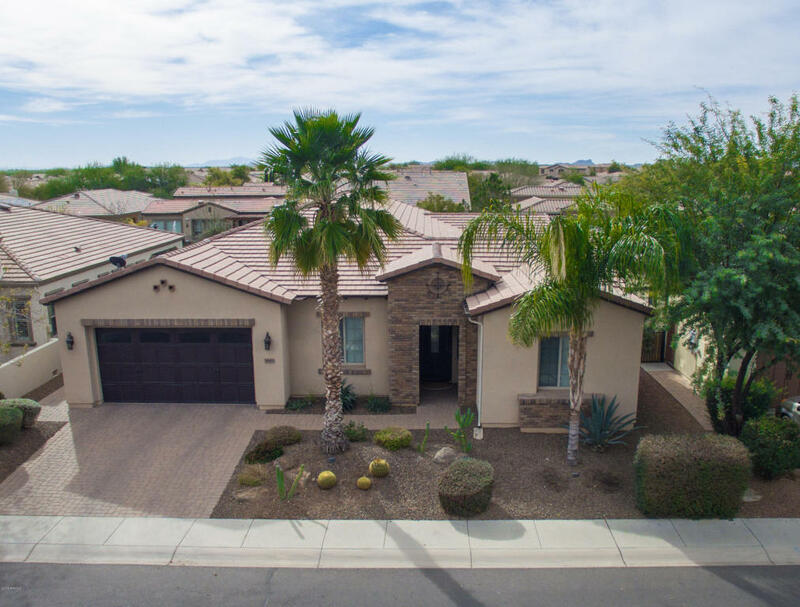 Rear yard is a paradise w/pebble tec pool & spa, 2 outdoor kitchen areas w/Viking appliances - Built-in Grill, Mini Fridge, Infrared Grill, 2 burners, cooler, drawers & storage - all covered by a Pergola. & a misting system, surround system & extended pavers. The Shea Gourmet kitchen w/SS Appliances incl. a wine chiller, Granite Counters w/Full Granite Back splash, Staggered Cabinets & 2 large Islands. Den & Formal Dining have Wood Floors, Tile on Diagonal throughout w/carpet in BRs. Great room w/Built-in Entertainment Cntr - Hidden Room w/Built-in Cabs & Desk. All bathrooms upgraded w/many desirable details. Insulated 2 Car Garage w/Epoxy Floor, Built-in Cabs, Soft Wtr & R O Systems, Tankless Gas HWH. A MUST SEE!